Social Security Retirement for Federal Employees – What Are Your Benefits? For Federal Employees, this is just another part of your retirement puzzle. Your Social Security Income. So, You want to know how much you’ll get when you retire. You want to ensure you can retire comfortably and not have to live monthly pay check to pay check? You simply want to understand your Social Security. And you need to. After all, you’re paying a percentage each paycheck into the Social Security trust. You should be aware of what that means for you. Today, according to the Social Security Administration (SSA), three-fourths of state and local employees are covered by Social Security. You can apply for payments easily online to help with expenses and offset the loss of income from your job. While you can retire at 62, payments are reduced. You can receive full benefits if you retire at 65, 66, 67, but it depends on what year you were born. However, Social Security is also facing hardships. A large number of baby boomers are retiring, so that younger employees may encounter a dwindling supply of funds in the Social Security trust when they eventually plan to retire. If the trust’s deficit is not fixed, you may see a reduced SS paycheck. Social Security, combined with your own savings, investments, TSP, and pension, is the foundation to secure retirement especially if you are enrolled in the Federal Employees Retirement System. But we can help you consider other options and financial products to bolster your retirement portfolio. We will look at how much you pay in to Social Security, and analyze when the best time to take it might be. Plan your financial future with us. Social Security is one of the major income streams for retired federal workers enrolled in FERS. FERS covers federal employees hired on or after Jan. 1, 1984, or those who switched over to FERS from the Civil Service Retirement System (CSRS). All federal employees who are enrolled in FERS pay Social Security taxes and earn Social Security benefits. A lump sum benefit upon your death. To become eligible for social security retirement benefits, you and your family must meet different sets of requirements for each type of benefit. An underlying condition of payment of most benefits is that you have paid Social Security taxes for the required period of time. Benefits are subject to individual and family maximums. If you meet certain requirements, you will receive a Special Retirement Supplement which is paid as an annuity until you reach age 62. This supplement is somewhat similar to the Social Security benefit earned while you were employed by the Federal government. However, since the formula for the Special Supplement assumes a working life of 40 years, each year of FERS service is worth one-fortieth of the estimated Social Security benefit. Therefore, the FERS Supplement is often significantly less than your Social Security benefits. The supplement ends at age 62 even if you elect to wait to apply for Social Security benefits. If you transfer to the Federal Employees Retirement System (FERS) from the Civil Service Retirement System (CSRS), you must have at least one full calendar year of FERS-covered service to qualify for the supplement. Earnings from wages or self-employment that exceed the Social Security annual exempt amount ($17,040/yr in 2018), your Special Retirement Supplement will be reduced or stopped. If you have active military time, and are eligible to collect Social Security at age 62, your annuity will decrease unless you buy back your military time. Federal CSRS retirees are subject to the Windfall Elimination Provision (WEP) that reduces Social Security benefits for those with less than 30 years of substantial coverage and who earned a retirement benefit from employment not covered by Social Security – your CSRS service for example. If you are subject to WEP, your earned Social Security benefits will be calculated using a modified formula. The modified formula IS NOT used in computing survivor benefits upon your death. Generally speaking, a CSRS retiree’s social security will be reduced. The current maximum reduction is approximately $413. CSRS retirees with active military time that are eligible to collect Social Security at age 62, will see their CSRS annuity decrease unless you buy back your military time. If you served 4 years military service and didn’t buy back your military time, your federal CSRS annuity will decrease by approximately 8%., 2% for each year of military service. If you pay your military time back your annuity will not decrease and you will also collect a Social Security check. A beneficiary between age 62 and their full retirement age can lose some or all of their Social Security benefit by working. This is because beneficiaries are subject to earnings limits. These limits are set each year and differ by age group. In 2018, the limit is $17,040/yr. ($1,420/mo.) for beneficiaries under full retirement age. In 2018, the year you reach your full retirement age, the limit is $45,360/yr. ($3,780/mo.). After reaching full retirement age there is no limit to the amount of earnings and no loss of benefits. Beneficiaries who expect to earn more than the annual limit are asked to contact Social Security so that the benefit can be adjusted promptly. Earnings must be reported by April 15 of each year and failure to report expected earnings may result in an overpayment. This is in addition to Federal income tax returns. Earnings which exceed the limits above are considered excess earnings. If under full retirement age and earning more than the limit, $1 of benefits will be lost for each $2 of earnings over the limit. In the year you reach full retirement age and earning more than the limit, $1 of benefits will be lost for each $3 of earnings over the limit. Social Security recovers overpayments of benefits by reducing benefits payable to the worker in future months until the debt is repaid. Wages received as an employee and net earnings from self-employment, bonuses, commissions, fees, vacation pay, cash tips of $20 or more a month, severance pay, and earnings from all types of work, including work not covered by Social Security count for the earnings test. This is only a factor for earned income, income from investments and rental property are not included and will not impact your Social Security payments at any age. You need to know what you’re going to get from Social Security in order to understand your total retirement income, especially if you’re enrolled in FERS. There are some other nuances you need to know exist in order to best understand what you’re entitled to. These include the Windfall Elimination Provision and the Government Pension Offset. Some federal employees may be eligible for pensions that are based on earnings not covered by Social Security. If you worked in a job where you didn’t pay Social Security taxes, the Windfall Elimination Provision affects the calculation of your social security income or disability benefits. Any pension you get from that job may reduce your Social Security benefits. Your Social Security benefits are only intended to replace a percentage of your pre-retirement income. So if you’re already receiving a pension from your job, and you also worked in other jobs long enough to qualify for a Social Security retirement or disability benefit, the idea of WEP is to remove an advantage, in a sense, of receiving double benefits. The formula used is modified to pay out a lower Social Security benefit. 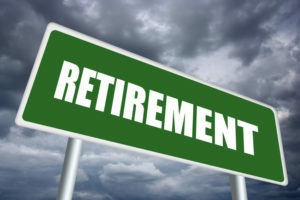 WEP may apply to you if you turned 62 years old as of 1985, you have become disabled after 1985 or if you first became eligible for a monthly federal pension based on work where you did not pay Social Security taxes after 1985, even if you are still working. There are several other provisions for qualifying for WEP. We can walk you through these facets of WEP, as well as navigate some other options. Your spouse’s, widow’s or widower’s benefits through Social Security may be offset by two-thirds if you have a government pension where you did not pay Social Security taxes. Keep in mind, your own Social Security benefits will not be reduced, only the benefits that come from a spouse’s employment. Before the Government Pension Offset was enacted, the SSA would have to pay out full Social Security benefits to a spouse even if that spouse earned their own monthly Social Security retirement benefit. Now with this provision, when it comes to determining the spouse’s benefits, workers who do not pay Social Security taxes are essentially treated in a similar manner to those who work in the private sector and pay Social Security taxes. There are a handful of provisions in which your spouse’s benefits will not be reduced, including if your spouse is receiving a government pension not based on their earnings. More about these exceptions can be found at the SSA’s fact sheet on Government Pension Offset. You can also contact one of our benefits specialists to learn more about your Social Security benefits.